That depends on the board I believe. Intel's DX58SO may not post without the BIOS update. One small title error. 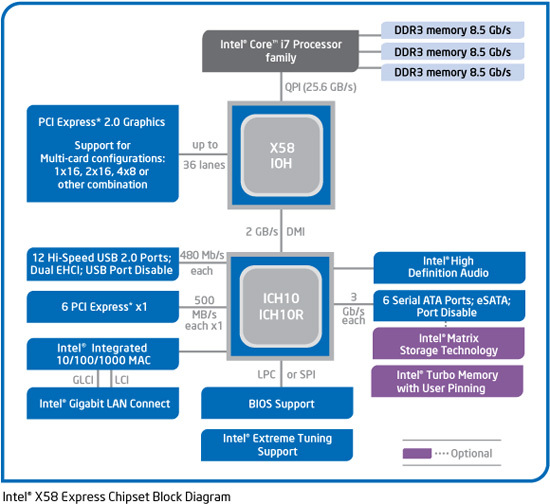 Intel's Xeon X7000-series CPUs are the first hex-core processors from Intel. Those are server only, but they are out there. I must say, I do find this rather exciting. But since I'm running a poorly threaded data-simulation app with extremely high throughput, I'm debating whether the extra latency vs. the larger shared cache could potentially harm performance. 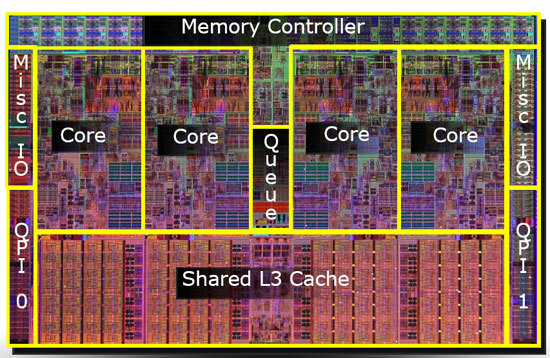 If I understand this right Nahalem is the name of the micro architecture and not any CPU in particular. On page 2, the first die shot is captioned Nehalem. Shouldn't it be Bloomfield? 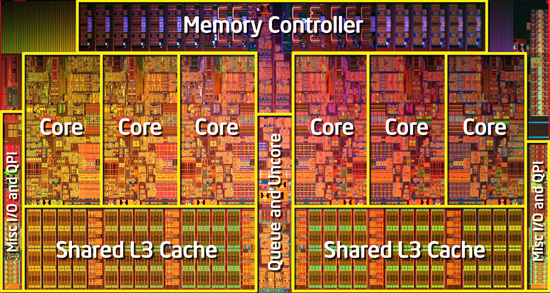 Waiting for Sandy Bridge- which will hopefully be the true successor of Core 2 Duo.